People say its always a wise thing to Diversify your investments. Its gives you better security and better returns. It minimizes your risk and if one part of your portfolio is doing bad, it will not affect others and you will benefit from other side. That is true, But then there are some things to note here. Ask any investor who Started investing in Equities around 2002 and then sold his holdings at the end of 2007. If he sold it just by luck its great, but if he managed to take this decision based on his study on markets and hard work. Then its worth appreciating. Diversification is very good, but only when you don’t have much time to track whats happening in things which you have invested in. Its a trade off between return and the time you can contribute tracking your investments. What if you can watch your investments closely and take decisions based on any move in markets or investing world. In that case Diversification is not that important. One of the greatest investors of all time Warren Buffet also says that Too much diversification is needs only when investors doesn’t know what he is doing. If you are cautious and well aware of things which affect your investments, then too much diversification is not required. Because you will take actions fast as an when required. to read more on diversification of portfolio. 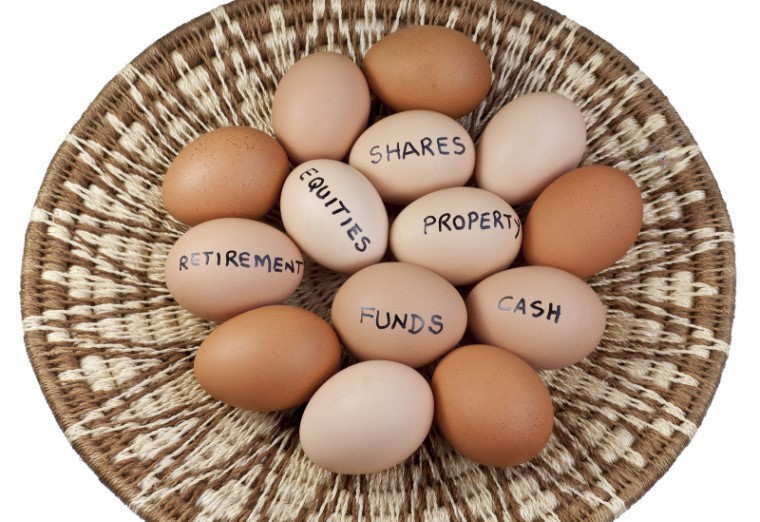 Warren Buffet says that he likes to put his eggs in a single basket and watches it closely. Lets take a Case study. These were returns after an year, so before making investment both of them did not knew that what will be returns. Total : 112,400, which comes to 12.4% before tax. On the other hand Manish do not diversify, because he has much time to track things closely, He does some study and understands that Real estate has short term bear market as there is lot of supply and interest rates are also going up which will affect demand and hence prices. He Invests most of his money in Equities and some money in Debt and Gold. Though this is hypothetical example, it shows that Because Manish kept a close eye on this investment, he does not need very highly diversified portfolio. He can have more concentration on something which he can closely track. Diversification in portfolio is to minimize risk and to get benefit of all the form of investment. But risk can also be minimized by keeping a close eye on your investments, So the investor can choose more risky products and hence also increase there chances or earning higher returns.